“I want to wake up in a city that doesn’t sleep” sang the lovely Frank Sinatra, and boy was he right. For those living in New York, it is still the city where anything is possible, where you can become ‘King of the hill, top of the heap’ no matter who you are or where you come from. For visitors, it’s the city that just keeps on giving – the very best of culture, food, shopping, fun and nightlife. There’s a bar for every occasion, a shop for every taste and an attraction on every block. 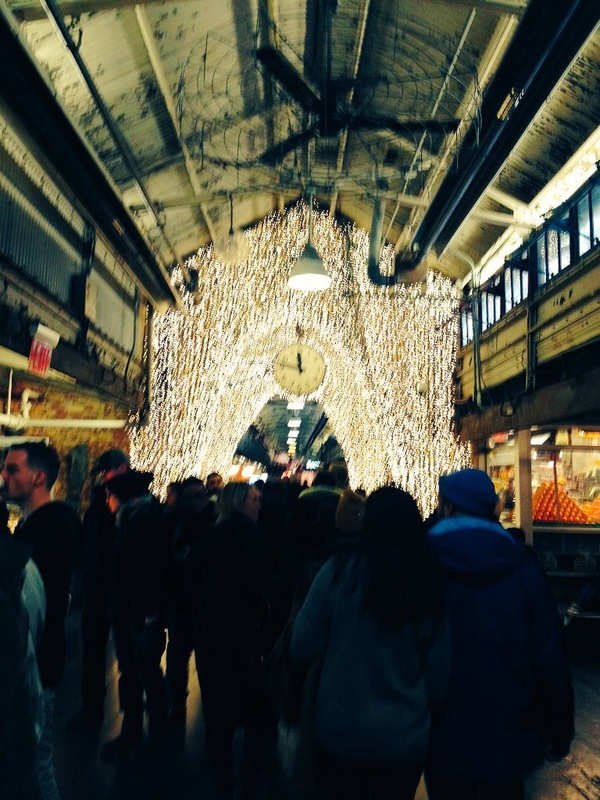 It’s no wonder over 56 million people visited New York City in 2014. I visited NY when I was 19 years old. We made a pitstop for one night on our way to Long Island for our J1 summer. We went to the top of the Empire State Building and I was blown away by the vastness of the city. I had never been to a city so packed with buildings and people, noise and smoke. Nearly twenty years on (nearly…not quite!) and the moment I stepped onto Madison Avenue I became that nineteen year old student again. I was overwhelmed by the number of people and their ability to see through me. The buildings towering above blocked out the sunshine and a wind, colder than I’d every felt before, whipped down the street. I held tightly to Dan’s hand, like a child clinging to their mother in a busy supermarket, and let him lead the way. We ducked into Grand Central Terminal and once again, New York blew me away. The high, emerald ceiling painted with constellations, pristine marble arches and floors, sparkling chandeliers, ornamental sculptures fit for an art gallery, clocks made of opals and gold; these are just a few features that make Grand Central the most beautiful station in the world. This probably makes me very nerdy, but in the five days I spent in New York, we ate in cool restaurants, climbed the Rockefeller, walked Central Park and Battery Park, browsed 5th Avenue, and still, at the end of it all, my heart was back in Grand Central Terminal. I could write for hours about the sights, sounds and smells of a city that has captured the hearts of millions. A city so vibrant that people visit simply to feel more alive. However, it comes at a price. Lack of sleep and a whack to your purse…so before you go, my advice? Stock up on sleep and get saving. No, I am not a trainspotter, but you can’t help fall in love with this station, for all the reasons I list above, but also, the atmosphere. The city moves through the station throughout the day, sometimes quietly and slowly, other times, like a steam train at full speed. Browse the food market below and if you’re packing a picnic for Central Park, visit the Grand Central Food Market. Share your secrets in the “Whispering Gallery”, soak up the atmosphere in one of the concourse bars and step back in time with a cocktail in The Campbell Apartment. 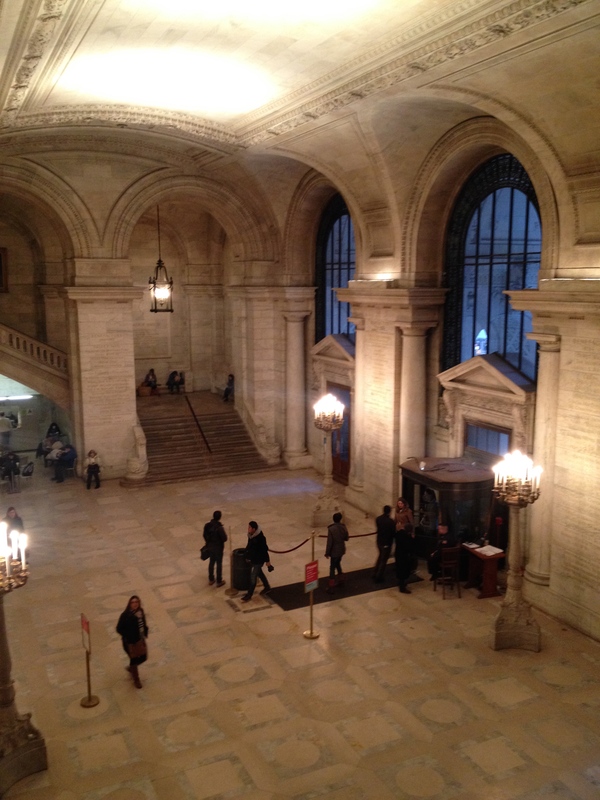 If you’re a lover of books or architecture, take a stroll through the Public Library. Each room is packed with locals immersed in books and people speaking in hushed tones. It has the feel of a cathedral for books.Keep an eye out for exhibitions and events during your stay. Afterwards, if it’s summer laze in the shade and watch the folk playing chess in Bryant Park, or if in winter, pull on your skates and go ice-skating. The memorials built in remembrance of those who died in the horrific events of 9/11 are haunting. 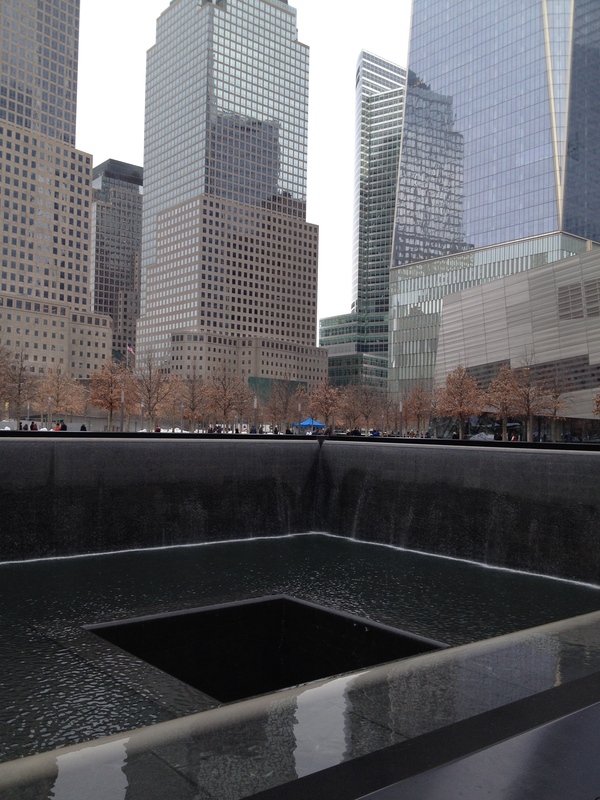 In the footprint where the Twin Towers once stood, water cascades over black marble, into deep, seemingly bottomless basins. The names of those who died are inscribed on bronze plates around the two memorials. It is a heartbreaking experience. To think that behind each name is a face and a life – a brother, sister, father, mother, daughter, son, friend, lover. 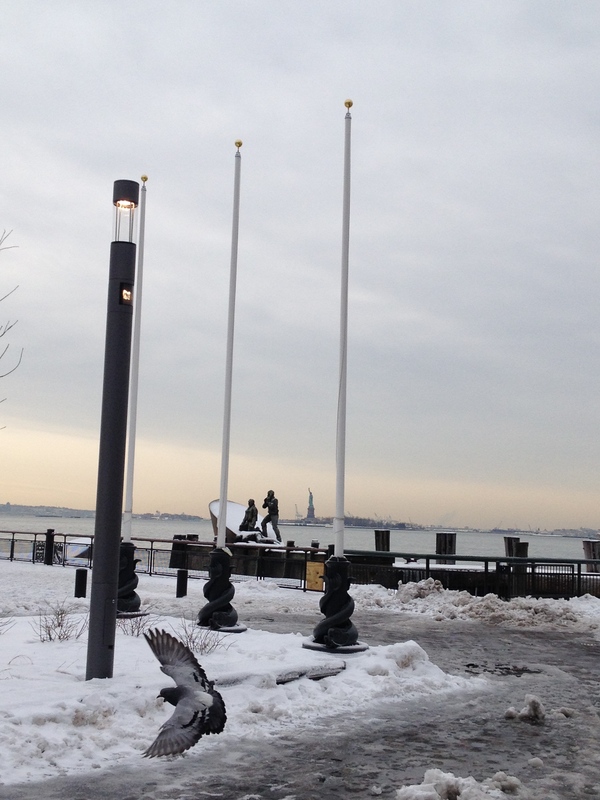 From the memorial you can walk across to Battery Park along the Hudson River. Look across to Ellis Island, dine at the Pier and watch the life of the Hudson River go by. From here you can catch a boat over to Ellis Island and the Statue of Liberty or a free ferry across to Staten Island. 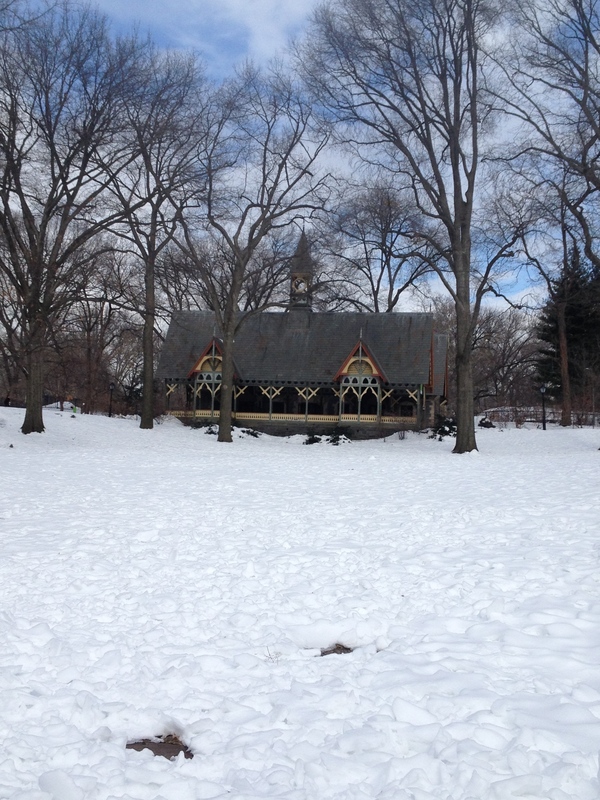 Some people go to highlands for a walking holiday, but you can get your exercise in NYC. Everyone talks about how easy the subway is to use, which it is (most of the time), but why go underground and miss all the sights? Pull on comfy shoes and walk the length of Manhattan. Wander the streets of Soho, head across to the more suburban Greenwich, with its jazz clubs and cosy corner cafes, then head into the hip West Village. 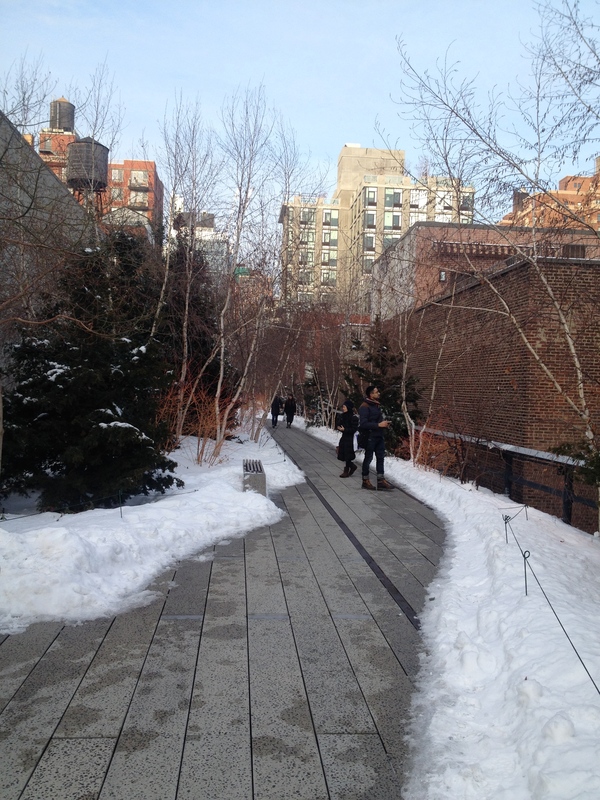 Get cake in Magnolia Bakery and then walk along the Highline to the edgy, but cool Chelsea. All I can say is go hungry. You can gorge on every type of food here – sushi, soft springy cakes, pancakes, salads, you name it, they have it. Open 7 days a week, it’s a great place to visit on a rainy day. There’s a nice bookshop and a few clothes shops to browse after feasting on delicious delicacies. 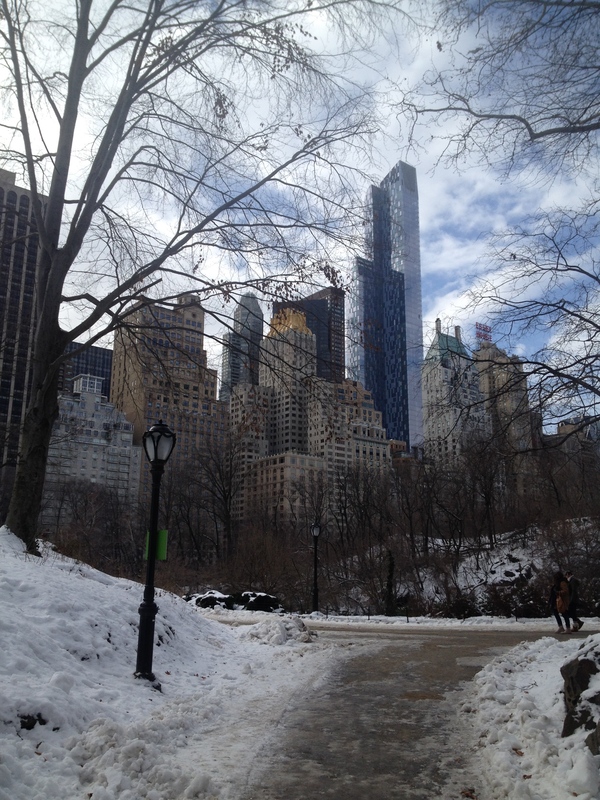 I felt myself exhale as we stepped into Central Park. It’s only when you feel the sun on your face that you realise how closed in the city is with all the skyscrapers. The park brings relief for a few hours from the noise and crowds. There is no right or wrong way to do the park, just walk. And if you fancy a nice lunch, stop into the Loeb Boathouse Restaurant – beautiful views overlooking the lake. Established in 1927, their tagline is – 18 miles of books. As you cross the threshold, that’s all you see, books, books and more books. New books, old books, cookery books, fiction, maps, it’s all there. 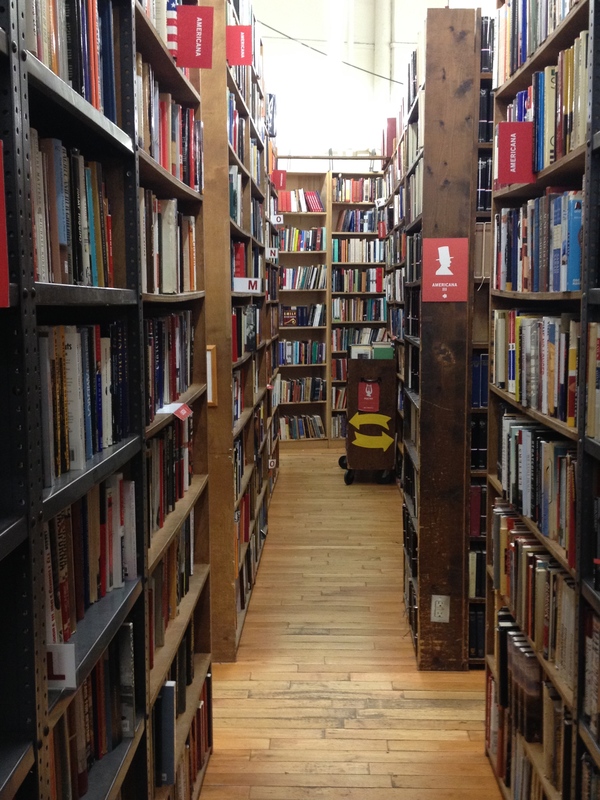 It’s a book lovers paradise. I only had a half-hour to browse and didn’t make it past the first floor – even at that I was moving fast. You need a few weeks here, but failing that, put aside an hour or two! Even if you weren’t to go up to the top, it’s worth a visit to the centre just to watch the people milling about, skaters on the ice-rink (in winter) and a visit to the Lego store. We chose to go up the top of the Rockefeller as you get to see the iconic Empire State Building in all its glory. I have to admit I was shocked at the cost – ¢29 for a view. However, it is a view worth seeing. To admire the city stretched out below you on a sunny day, is pretty spectacular. I love breakfast in America. I love pancakes and french toast with bacon, soaked in maple syrup, I love eggs benedict and I love bagels, cream cheese and bacon. I try each of these dishes on alternate mornings during a stay in the states. 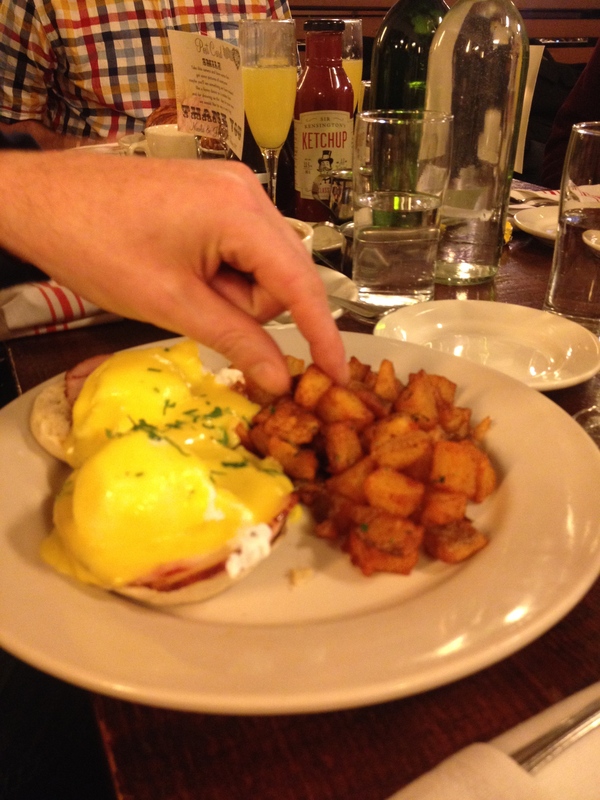 We loved The Smith for it’s mouthwatering eggs benedict and delicious french toast. Slurrrp. There was a list of places to make it through for breakfast, but this was my top. I travelled to New York with Sunway Holidays – they do package deals to NYC also including multi-centre stops. Packages for March start from €765 pp – return flights and 3 nights accommodation.